Yield on U.S. Treasury Securites with 10 Year Maturity, Percent Per Year. Average of Month. 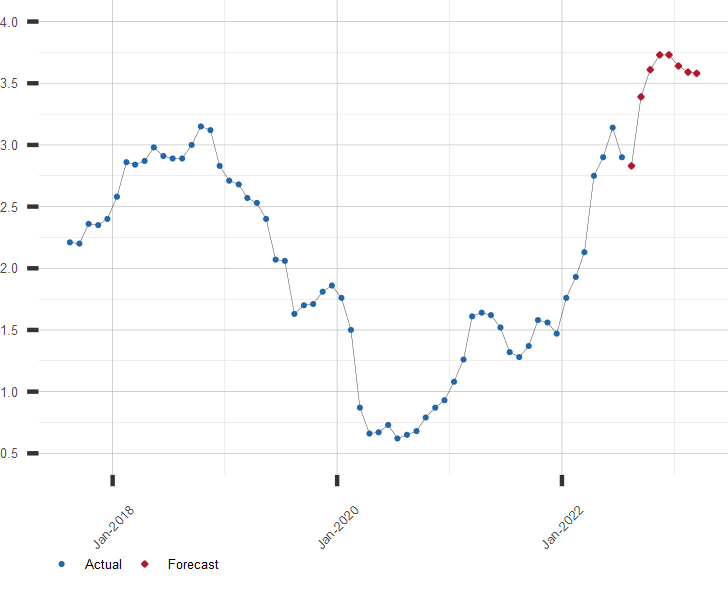 A long range forecast for 10-Year Treasury Rates and similar economic series is available by subscription. Click here for more information or to subscribe now!